Can this Zoostorm's 17" screen make up for its lack of HDMI? PC Nextday uses generic designs to keep the costs down on its laptops, allowing more money to be spent on components. 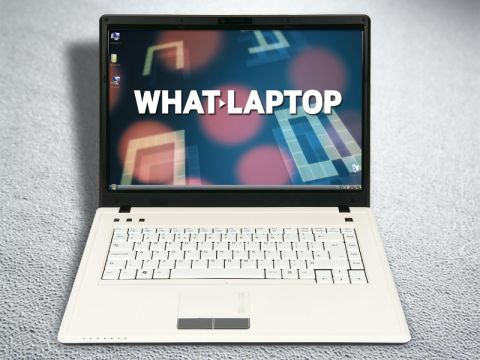 The Zoostorm 83-5300 is a 17-inch laptop, but doesn't quite offer all we were hoping for. The screen is impressive, with bright colours and sharp image quality. It's great for watching movies but, as with most of its rivals, the glossy Super-TFT coating picks up reflections under bright lights. Disappointingly for a machine of this size, PC Nextday has fitted an integrated SiS graphics card rather than a dedicated GPU. It gives the most basic 3D performance currently available. It's still fine for basic home use – such as watching DVDs and playing 2D games – but look elsewhere if your needs are more demanding. The light-coloured chassis lacks the style laptops from the likes of Sony have, but it's still a reasonably attractive machine. The plastics are all of a good standard, with a thick lid that offers plenty of protection for the screen. That said, its beige and white finish quickly attracts dirt, especially on the keyboard. The keyboard is full-sized and offers a nice typing action. All of the keys are firmly attached and move quietly and comfortably. There's a numeric keypad alongside the main board but, in this case, none of the other keys have been compromised in size to accommodate it and it's a welcome addition. Within the chassis, a 2GHz Intel Core 2 Duo processor helps to provide reasonable performance and, although the use of 4096MB of memory should result in a fast and capable all-rounder, we found it surprisingly sluggish when multi-tasking. The capacious 500GB hard drive is excellent at this price, however, rivalling much more expensive machines for storage space. Users wanting to connect an external high-definition display should look elsewhere, as this machine uses an analogue VGA port only. The provision of just three USB ports is also slightly limited, with blank plates dotted around the chassis where features on more expensive models should be – such as eSATA and HDMI ports. It looks cheap and we'd prefer that they were either provided or hidden completely. 802.11n Wi-Fi provides fast wireless networking. The Zoostorm 83-5300 is a decent laptop and if you're seeking a large machine offering comfort and good everyday performance, it's worth a look. Don't expect it to replace your desktop PC, however, as 3D performance is limited, even by laptop standards.